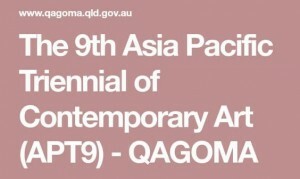 Stretching from Iraq to Hawai’i, ‘The 9th Asia Pacific Triennial of Contemporary Art’ (APT9) will bring new and significant art from across the region to Brisbane. Highlights will be a substantial number of newly commissioned works, as well as works by emerging, mid-career and senior artists and influential works that continue to shape contemporary art in the region. APT9 is based on extensive research that has built on the wealth of knowledge established over the exhibition’s 25 year history. The exhibition will feature over 80 artists and groups whose work is notable for making an impact in contemporary art in its local context, including a large representation of Australian artists. Their works will reveal a number of preoccupations, such as the use of innovative approaches to indigenous traditions and modern thought, the re-imagining of histories or poetic narratives and the ability to show our universal yet diverse relations to nature and culture. Join a matcha express masterclass to learn more about this exceptional Japanese green tea. You will be given a brief overview of its long-standing historical and cultural importance in Japanese tea culture. You will also have an opportunity to experience the joy in traditionally preparing your own bowl of matcha with a special matcha whisk (chasen). We will enjoy sipping our matcha together. Misato Furumiya is a Certified Japanese Green Tea Instructor, Urasenke Tea ceremony Sado practitioner and Japan Tea Goodwill Ambassador. Misato is passionate about sharing her knowledge of Japanese green tea and hosts tea demonstrations and hands-on brewing lessons for the local Brisbane community.